A fun, yet disturbingly truthful, look at the dangers of ordering your life based on social mediasphere, Matt Spicer’s “Ingrid Goes West” is a brilliant, biting satire. A sign of the times, Ingrid Thorburn (Aubrey Plaza) is obsessed with Instagram and other social media accounts. But her obsessions aren’t restricted only to social media. We see in the film’s opening scene Ingrid at a wedding where she maces her friend because she was not invited. Shortly thereafter, she goes back to her daily routine of diving into her Instagram account. This is when she stumbles upon a photographer named Taylor Sloane (Elizabeth Olsen). An instant fascination strikes. Ingrid then impulsively moves to California, where Sloane lives. And surprisingly the two of young women become actual friends. But as the relationship develops, Ingrid’s escalating mania and obsession rapidly gets out of hand. 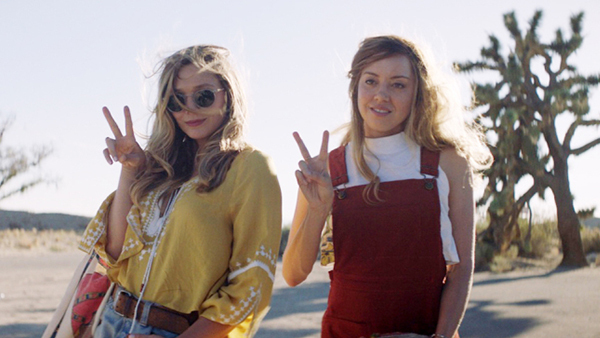 “Ingrid Goes West” is one of the most fascinating films I’ve seen this year, and not just because of the fact that the story is extremely gripping and emotional, with great cast all across the board; it is because the film can be relatable in at least one way to everybody. Most people that live in this generation have a cellular phone, which more than likely means that they have access to social media services such as Facebook, Twitter, or the aforementioned Instagram. This film speaks a wide variety of truths when it comes to the usage of technology these days, and it was truly remarkable to see Spicer knock it out of the park with the film’s realism. I would absolutely be lying if I were to tell you that I do not use social media all the time, and after seeing “Ingrid Goes West,” it opened up my eyes to how dangerous something as simple as going on your Instagram account too much could really be. Back talking about the motion picture’s cast, Plaza’s character Ingrid is such an intriguing and thrilling character to watch unfold and her character’s arc while watching the film. Although you know that an assortment of the acts that are being carried out by Ingrid are too far, you still end up rooting for her, because she is relatable in the sense that she goes on social media all the time, just like the general population. You always cannot help but root for her no matter the situation she is in, or how crazy said situation is. Elizabeth Olsen’s character Taylor Sloane is also a great character, and one you can also root for in certain situations, much like Ingrid. She is more laid back than Ingrid, and she does not do a lot of the same things done by her, although the two of them still get along extremely well. The chemistry behind the scenes with Plaza and Olsen is absolutely fantastic to see, as it genuinely seems as if these two have been friends for their whole lives. 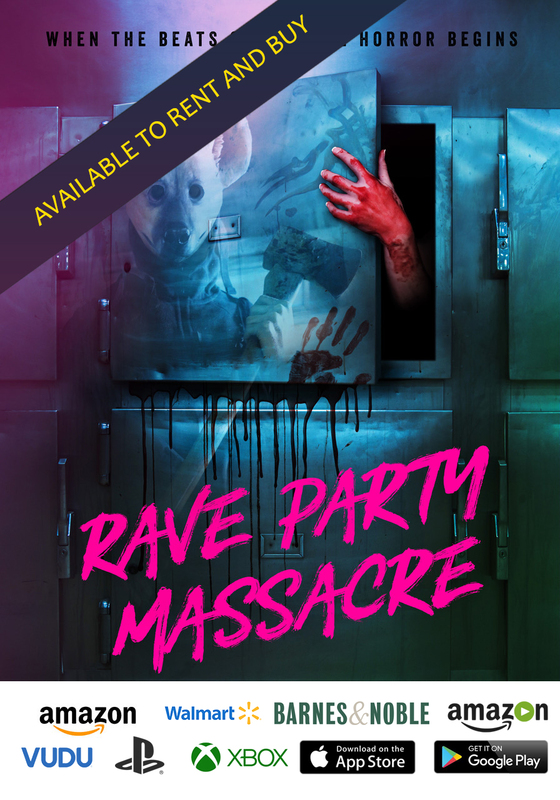 Additionally, the film does have a fair amount of shocking moments that took me completely by surprise, particularly with the way the film concludes. The screenplay is also great, and absolutely deserves a nomination for the upcoming 90th Academy Awards ceremony. It truly does speak the truth about social media, and the dangers of it, and has a fresh blend of comedy in there as well. 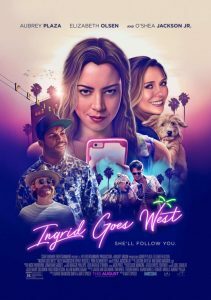 Boasting a talented cast with an extremely praise-worthy script, “Ingrid Goes West” is a film that has a surprising amount of heart, emotional thrill-rides, and speaks a dark and disturbing truth about the day-to-day reliance on social media.